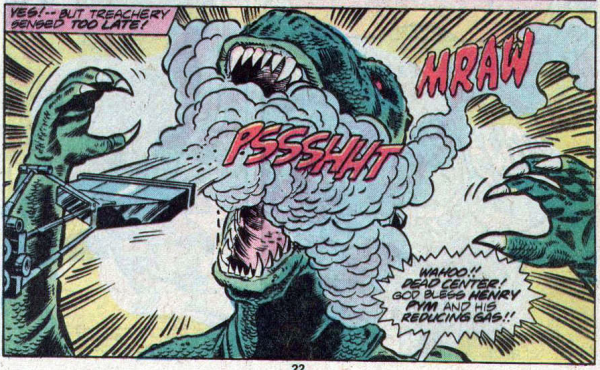 This is one of my favorite panels in Marvel Godzilla history! 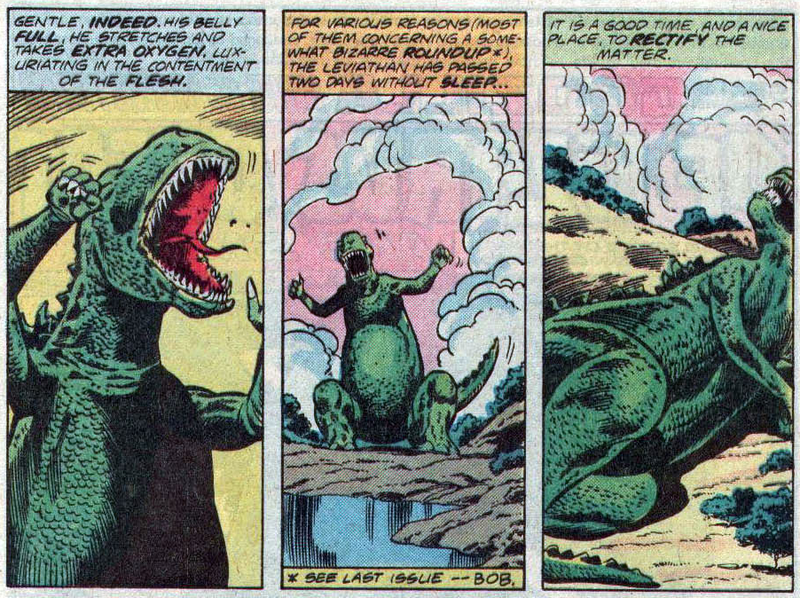 Ready for a short story about Godzilla? 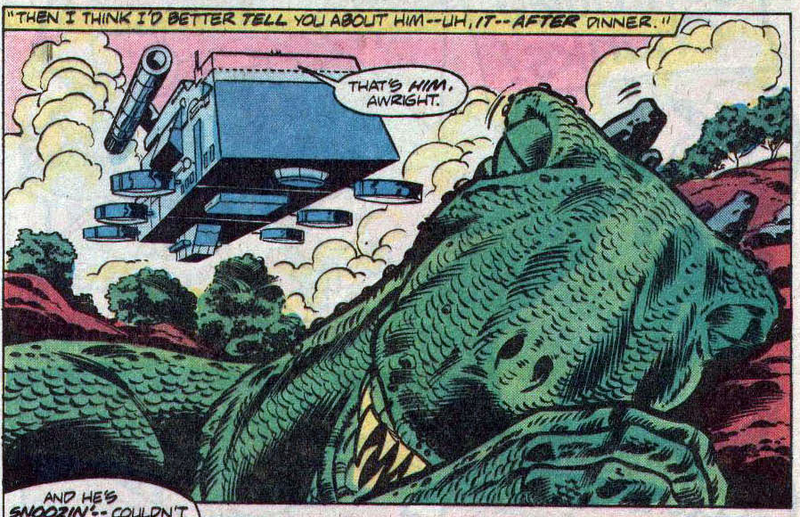 And I don’t mean that this is a smaller than normal issue of Godzilla, but that Godzilla is actually shrunk down to size! 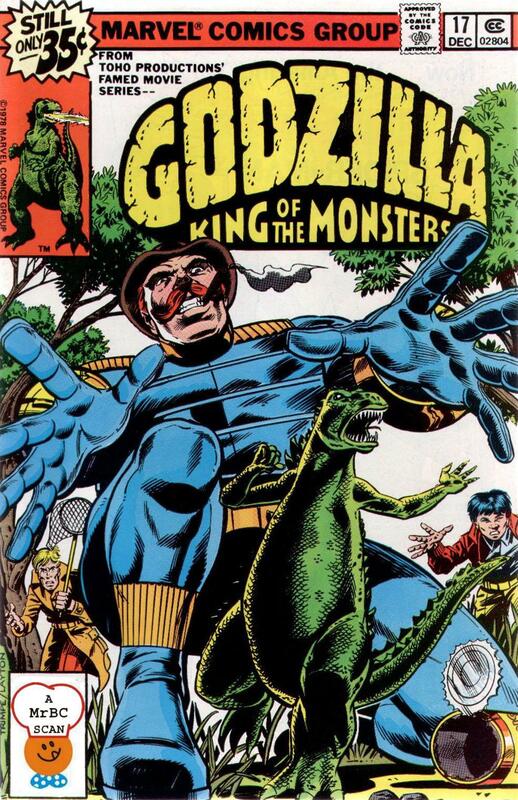 Though, the synopsis is shorter than normal, because literally all they do is get some gas, gas Godzilla, then catch him in a net. Also a new character who does nothing productive is introduced. We get a new character joining our SHIELD team, Dr. Gladstone Hawkins! Yes, we needed another random person to cram in and eat up valuable characterization time. Dr. Hawkins is a paleontologist and reptilian behavior patterns expert. He also talks a lot, which gives Dum Dum the idea to talk to another loudmouth scientist – Henry Pym – aka Ant Man and Giant Man! 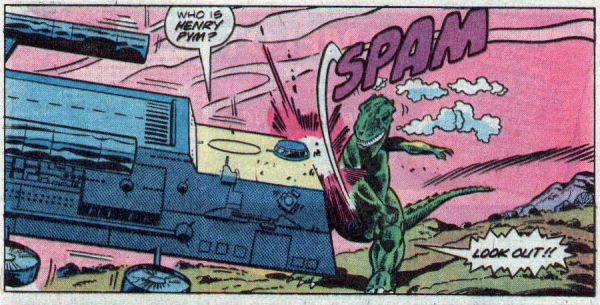 Henry Pym gives Gabe a special dose of his shrinking gas, and even Janet Janet van Dyne (The Wasp) shows up for a cameo appearance. 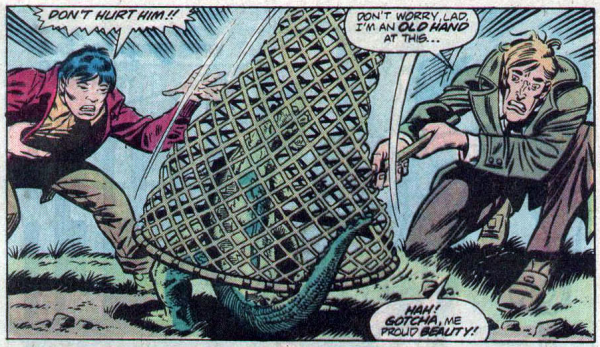 Godzilla shrinks to like six inches tall and runs around like a chicken, but he’s finally caught in a butterfly net! The King of the Monsters, defeated by a tiny net? Is this the end of Godzilla? Will there be a Shrinky Dinks tie-in toy? Find out next issue, as Tiny Godzilla continues! Godzilla, now in pocket size! Every time I try to catch some Z’s, a flying helicarrier bugs me! Got bad breath? We have the cure!